Do you have questions about a possible Heart Attack Malpractice case? Contact us now using this confidential form. We'll help you get answers. 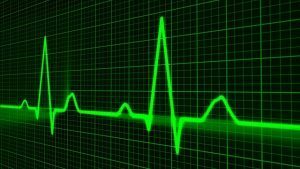 What you need to know about heart attack misdiagnosis and whether there was medical malpractice involved. What Should I Do If a Hospital or ER Misdiagnosed a Heart Attack? What Claims Do I Have for a Misdiagnosed Heart Attack in Ohio? How Much will a Heart Attack Lawsuit Cost Me? First, how much will you have to pay out of pocket? Second, how much will the fees and expenses be? Is Heart Failure or an Arrhythmia Different than a Heart Attack? Is a Bypass the Only Treatment for Heart Disease? How do I Hire You to be my Heart Attack Malpractice Lawyer? What are Patient Handoffs and Why Does Your Life Depend on Them? Which Doctors Commit Medical Malpractice? Heart disease is the leading cause of death of both men and women in the U.S. You may already know that. But did you know that anyone—young or old, man or woman, any race or ethnicity—can suffer a heart attack? There are more than 1.2 million new or recurrent coronary attacks in the United States every year. About 425,000—or a third—of those attacks cause death. Heart disease related conditions account for 1 in every 4 deaths. Over 650,000 people die of heart disease in the U.S. each year. That represents about 27 percent of all deaths in this country, according to the Centers for Disease Control and Prevention. What is surprising is how often doctors and nurses on the front lines do not recognize the signs and symptoms of heart attacks. Chest pain is not the only important sign of a heart attack, especially for women. Tens of thousands of people who go to the emergency room with symptoms of heart attack are sent home and told they are fine. (Or they are told they have indigestion, GERD, muscle strain, etc.) According to some estimates, as many as 2-4% of people having a heart attack who go to the emergency room with a heart attack (more generally, “acute coronary syndrome,” or ACS) are discharged without the treatment they desperately need. That includes myocardial infarctions or pre-infarction symptoms. That’s astonishing and scary. How can medicine know so much about heart attacks, symptoms, tests that can be done, yet miss tens of thousands of heart attacks or other emergency heart conditions when the symptoms are bad enough for the person to go to the ER? Then—if they’re lucky—people suffering a heart attack are later diagnosed with a heart attack and treated. I say “lucky” because not everyone survives the heart attack after the emergency room or hospital sends them home. But even when you survive after a heart attack misdiagnosis, you have likely suffered permanent, irreversible harm and even death that could have been prevented had the symptoms been properly diagnosed and treated. Unfortunately, cases of misdiagnoses involving heart attacks are a common form of medical negligence. This is particularly true for women, younger people, and minorities. Sometimes doctors or nurses assume too much about a person, because they’re “too young” to have a heart attack. Or they have a subconscious bias against believing women’s complaints about pain or other symptoms. That’s more dangerous for women, because women are less likely to present with “classic” symptoms like severe chest pain radiating to the arms or neck (“angina”). Delayed treatment for a heart attack leads to permanent heart damage. Sometimes doctors miss heart attacks because they do not order the tests to determine whether the patient was having a heart attack. Or nurses and doctors are overworked and rushing too fast to take a thorough medical history and perform a thorough exam. Sometimes they just mess up reading the test results: they ignore the heart attack right there on the page for anyone to see. Other times, although the heart attack may have been sudden, and obvious, a primary care / family doctor, or even a heart doctor (“cardiologist”), may have mishandled treatment prior to the heart attack. This could include not addressing significant heart attack risk factors that should have been treated (preventing the heart attack), prescribing the wrong types or amounts of medications, or missing heart abnormalities that could have been treated to prevent the heart attack. Your doctor is responsible for identifying and responding to serious heart attack risks. When they don’t, they can be liable for the result if it was negligent and proper care would have prevented the heart attack. Either way, the result is the same: missed heart attack diagnosis leading to death or permanent heart injury. It is likely medical malpractice to miss the signs and symptoms of a person presenting with a heart attack to the ER or hospital. 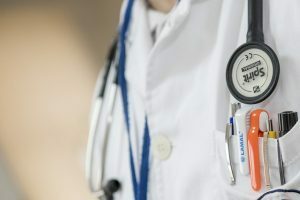 The first thing you need to know is that Ohio has a very short window of time in which to file a lawsuit—just one year form the date of the malpractice—which means no matter what, you want a qualified Ohio medical malpractice lawyer investigating sooner than later. The window of time—called the “statute of limitations”—is so short because the insurance lobby does not want to have to pay for medical negligence, even though insurance companies rake in billions of dollars in profits every year. Under Ohio law, an Ohio heart attack lawyer can extend the time in which to file a claim by delivering to each defendant a special notice of claim. 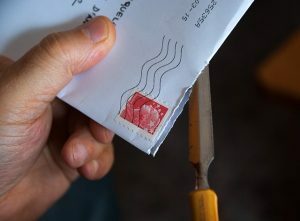 There are ways we can extend the time to investigate, such as sending a special notice of claim. And there are other factors that can keep the statute of limitations from starting, such as not discovering the malpractice, or continuing treatment with the negligent providers. But these are complicated and are best handled by a heart attack misdiagnosis lawyer after they have medical records and other important information. have an expert physician review the records to confirm if there was heart attack malpractice. If you meet with a lawyer who does not seem willing, capable, and eager to do a full investigation, you probably want to consider finding a different Ohio heart attack lawyer. You also want to be sure you trust a lawyer to give you candid answers as to what happened, whether that is likely medical malpractice, and what to expect in the heart attack misdiagnosis lawsuit process. You’re likely going to be taking on a large hospital or insurance company (or both). You want to make sure they have the experience and ability to do that. But just as important, you want to be confident they’ll tell you if you do NOT have a strong case. Why? Because the process is not easy. If they just want to get in, try to settle for a small amount, and get out, you’ll be the one left holding the bag if the hospital or insurance company refuses to pay. I’m always disappointed when someone calls me and was dumped by a lawyer who never bothered to tell them why they did not have a claim. When the injury causes death—immediately, or over time—the patient’s family has a separate claim. This is for their grief, mental anguish, and losses. The family’s claim is called a “wrongful death” claim in Ohio. Even though this is a separate claim, both the person’s claim (called a “survivorship’ claim, because it survives their death) and the wrongful death claim are brought by the person’s estate. There are 2 answers to the question, “how much will my heart attack lawsuit cost me”? Hopefully nothing. We never ask for up-front payment to investigate or file a heart attack lawsuit in Ohio. We handle everything on contingency. Most other contingency lawyers do it the same. But that does NOT mean the lawsuit is “free.” Do not get scammed by the “No Fee Guarantee” lawyers who make it sound like everything is free. In almost every case, you will pay for the costs of the lawsuit if successful. In America, the losing party generally does not have to cover your legal fees and expenses. Expenses depend on how far the case goes. Most experienced medical negligence lawyers know it can cost $5,000 to $10,000 just to get through the investigation phase, if you must obtain a review of many records from multiple doctors. Why would you need multiple doctors for a single heart attack case? You could need a primary care doctor to evaluate whether the patient’s primary care doctor missed dangerous and treatable risk factors. You might need a cardiologist to evaluate whether treatment would have prevented or minimized the heart attack or harm it caused. You might need an emergency room physician or hospitalist to evaluate whether an ER doctor or hospital doctor acted negligently by not recognizing the symptoms or ordering the right tests. We never ask you to pay for these costs up front. But if we’re successful, these costs are paid back from your recovery. So we have to be thoughtful. Spend enough to maximize the value of the case, but do not throw money away on things unlikely to help. Getting through the rest of the case, if filing a lawsuit is necessary, can cost anywhere from $35,000-$100,000 or more. You should consider hiring an attorney that focuses only on medical cases. That way, they will be experienced in managing these costs. And they won’t be afraid to take on the risk of such expenses to win the case. Non-medical cases might cost a fraction of this. That’s why a regular personal injury attorney might not want to go all the way in a heart attack medical malpractice case. They might never be willing to spend that kind of money to investigate or work up a case. “Dabbling” in medical malpractice, along with 10 other types of injury cases, is a bad idea. Of course, you do not have to pay anything out of your own pocket. But if there’s a recovery, that’s your money paying back the expenses. I always say, this is your case, and I know I must justify spending your money. When people use the phrase “heart disease,” they are usually referring to something called coronary heart disease. Coronary heart disease is a condition where a waxy material builds up in the arteries. This waxy material is referred to as plaque. When this waxy material builds up in the arteries, it is called atherosclerosis. It takes years for plaque to build up in the arteries. This is an image available from the National Institutes of Health at https://www.nhlbi.nih.gov/health/health-topics/topics/cad showing the progression of blocked arteries, also called atherosclerosis. Your heart needs oxygen rich blood. The arteries supply oxygen rich blood to the heart. The plaque that builds in the arteries can rupture (break open) or harden. When either of these happen it can prevent blood flow to the heart tissue. This process where tissue dies because of a lack of blood flow is called myocardial ischemia. Myocardial ischemia is more commonly known as a heart attack. This is a very similar process to what happens when a person suffers a stroke. The difference is that heart attack is like a stroke to the brain. When plaque ruptures, a blood clot can form. A blood clot can limit or totally prevent the flow of blood to portions of the heart. Even when the blood clot does not prevent blood flow to the heart, the rupture can cause the plaque to harden. Hardened plaque can restrict blood to the heart muscle. As plaque builds inside the wall of the artery, it limits the flow of blood to the heart muscle. In a crude analogy, this is similar to sludge developing on the inside of the pipes in a home. As the sludge develops, the flow of the drain decreases. Eventually, the sludge will develop to the point that the flow is blocked altogether. At that point, the drain is plugged. 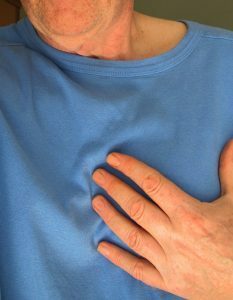 Angina is chest discomfort or pain. Patients sometimes describe this sensation as feeling like their chest is in a vice. But Angina does not have to be limited to the chest. Angina can feel like pressure or pain in back, jaw, neck, shoulders, or arms. Angina can also feel like indigestion. A heart attack happens when a portion of the heart is prevented from getting oxygen-rich blood. Like other tissues in the body, the heart muscle will begin to die without oxygen-rich blood. It is critical that blood be restored to the heart muscle as soon as possible. Without immediate treatment, the patient will go on to suffer serious health problems or death. A heart attack is a specific condition where blood does not flow to the heart muscle causing the heart muscle to die. It is different from both heart falure and arrhythmia. Heart failure is a condition where the heart cannot pump enough blood to allow the body to function properly. Often times this causes weight gain and fluid to build in the body. Although heart failure is different from a heart attack, heart failure can be caused by heart disease. You heart beats at a usual rate and rhythm. This is the “lub-dub, lub-dub, lub-dub” sound we are all used to hearing. When you have a problem with this rhythm, it is called an arrhythmia. An arrhythmia can occur when the rate is too fast or too small. An arrhythmia can be fatal. Unlike most heart attacks, deaths from arrhythmias are typically sudden. 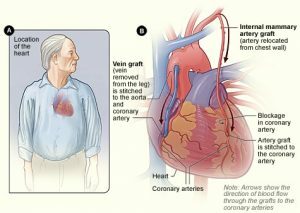 Coronary artery bypass grafting is a treatment for heart disease. Most people simply call these a “bypass” procedure. A bypass procedure is a form of open heart surgery. The artery that has plaque buildup is literally “bypassed” by sewing (also called grafting) a new artery or vein in its place. The grafted artery or vein bypasses (that is, goes around) the blocked portion of the coronary artery. This creates a new path for oxygen-rich blood to flow to the heart muscle. Surgeons can bypass more than one artery at a time. Sometimes you will hear this called a “double bypass” or “triple bypass.” This simply refers to the number of arteries that have been bypassed. This is a figure of a coronary artery bypass procedure. It is available at https://www.nhlbi.nih.gov/health/health-topics/topics/cabg. Coronary artery bypass surgery is the most common type of open heart surgery in the United States. Coronary artery bypass surgery is performed by surgeons called cardiothoracic surgeons. Usually, the surgery improves or completely relieves angina symptoms in most patients. Many people remain symptom-free for as long as 10 to 15 years. 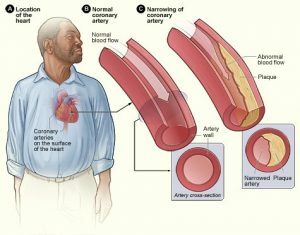 Coronary artery bypass can lower your risk of having a heart attack. Coronary artery bypass surgery is not the only treatment that is available for heart disease. Other treatments lifestyle changes, medicines, and a procedure called percutaneous coronary intervention. Percutaneous coronary intervention is also called a coronary angioplasty. Unlike coronary artery bypass surgery, percutaneous coronary intervention is a nonsurgical procedure. Doctors use percutaneous coronary intervention to open coronary arteries that are narrowed or blocked by plaque. 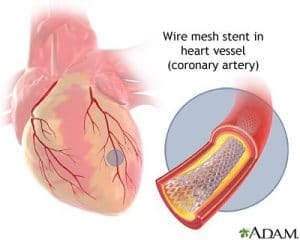 Percutaneous coronary intervention may be used to relieve symptoms of coronary heart disease or to reduce heart damage during or after a heart attack. Percutaneous coronary intervention, often called an angioplasty of stent, can open the artery to allow blood flow. A percutaneous coronary intervention uses a stent to open a blocked or narrowed artery. A stent is a small mesh tube that supports the inner artery wall. This allows the blood to flow freely.